Copyright Forms. Free Preview. Instant Download. Popular - Copyright forms to be used in various scenarios. These forms include registrations, assignments, licenses, amendments for agreements and licenses and infringement letters and notices. Also included is a form which requests permission to reprint a copyrighted work. For use when copyrighted work has been infringed. Includes a copyright cease and desist letter demanding that infringing activity cease immediately. Designed to assist with the registration of a copyright for visual art, literary work and more. Digital Millennium Copyright Act Notice of Infringement This notice of infringement is to be delivered to the Internet Service Provider of an infringing website and satisfies the requirments under the DMCA. Copyright Registration - Literary Works Copyright Registration Kit for Non-Dramatic Literary Works. Copyright Registration - Performing Arts Copyright Registration Forms for Performing Arts. Copyright Registration - Visual Arts Copyright Registration Kit for Visual Arts Works. Intellectual property is a difficult legal term for many people to wrap their heads around. They know about real estate and personal property – but intellectual property? Of course, once you consider how necessary it is to protect original writings, musical compositions, inventions, patents, designs, and a number of other intellectual creations, you begin to realize just how important it is to protect this type of property. Intellectual property is just as definable under the law as any type of tangible property, and for that reason, you should exercise your right to protect the works that you create. But how are you going to copyright your intellectual property if you’ve just figured out what the term even means? Let’s explore a little bit further and give you a how-to guide for accomplishing just that. Your intellectual property rights are vast – so long as you take the time to actually protect them. It all starts with the copyright. For example, if you are going to write a novel and you want to make sure that it’s copyrighted to your name, you’re going to have to fill out a copyright registration form. 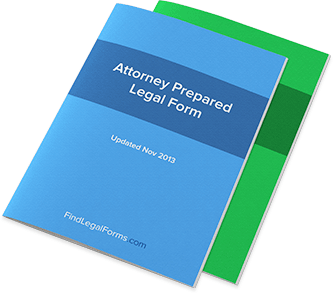 Finding them available for download at a place like FindLegalForms.com is easier than you think. It’s the simple act of deciding that you want to protect this piece of intellectual property that makes the difference. Once you have your copyright in place, your hold on your own work should be ironclad. But do remember that in certain cases, the burden of proof that your copyright privileges have been infringed upon will be on you when you enter litigation against someone else. A copyright is a valuable thing but it is not an invincible shield either. How can you go about copyrighting your material? As stated, be sure to download and fill out one of these forms, being sure that you clearly define the work that is to be copyrighted. Then make sure that these forms are filed properly; improperly filing these forms can result in never getting your copyright at all. The copyright is not enough to ensure that all of your intellectual property is protected. Instead, you’ll want to cultivate a good legal knowledge and an attitude that you’ll be hawkish on protecting your own property. This means filling out the right forms for the type of intellectual property you’re registering, whether it’s a patent or a new symphony. Protecting yourself starts with good knowledge – that knowledge will help you determine the right course of action in the future. And since an ounce of prevention is worth a pound of cure, you’ll want to make sure you’re always vigilant about registering your works, letting others know that they’re registered, and making sure that your registration is the correct kind. It’s this vigilance that will make you invulnerable to infringement; not any particular single action in and of itself. So be sure that you take your own intellectual property seriously – you never know when someone else might try to move in on it.